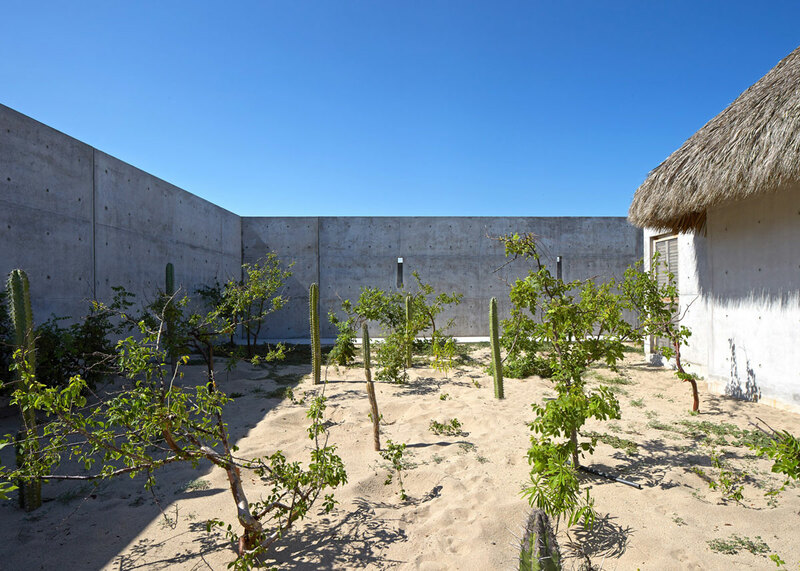 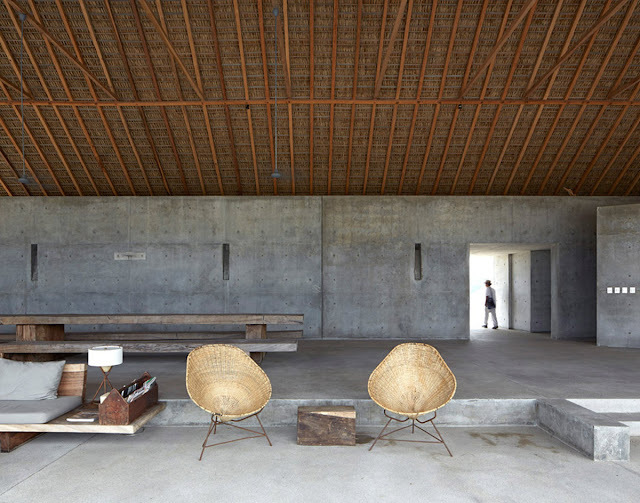 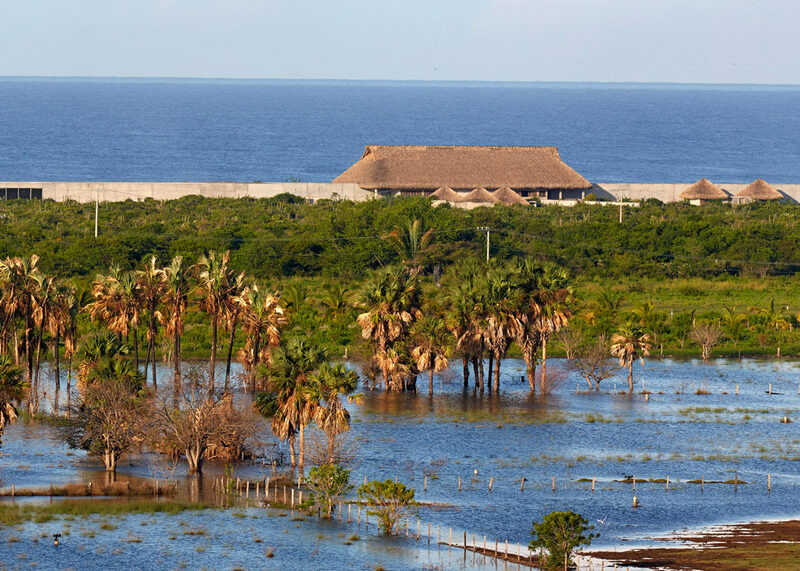 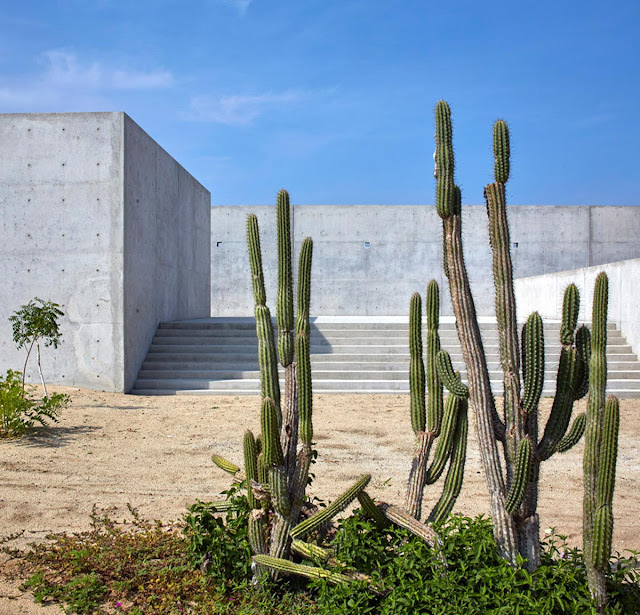 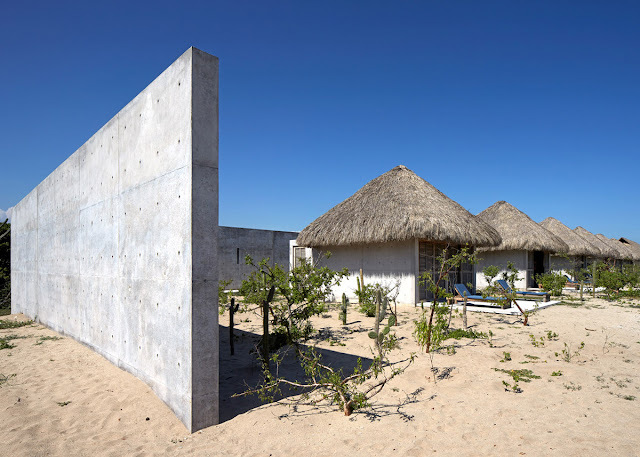 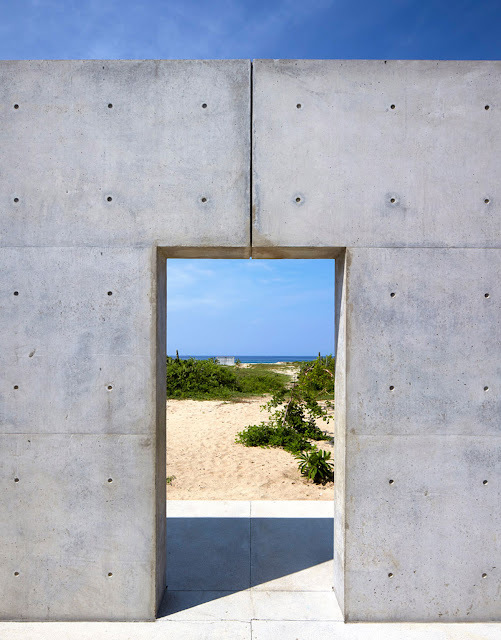 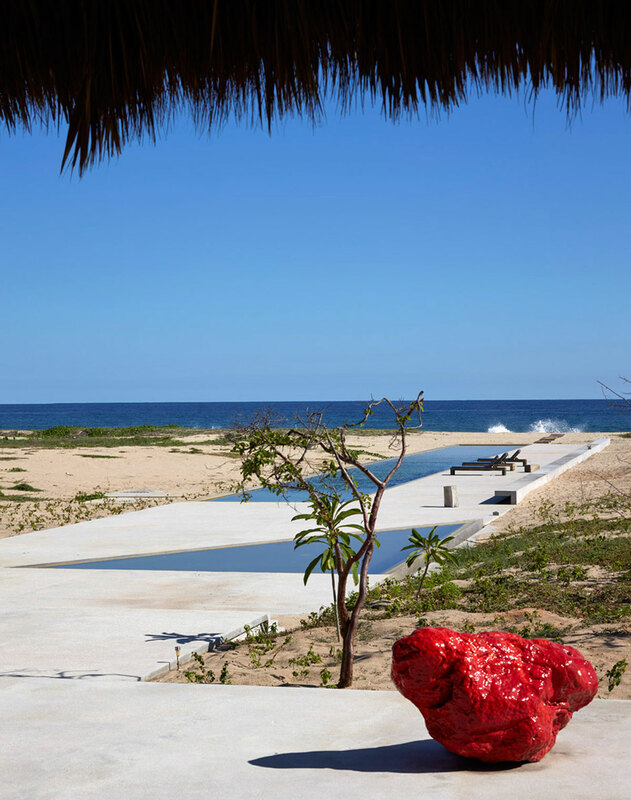 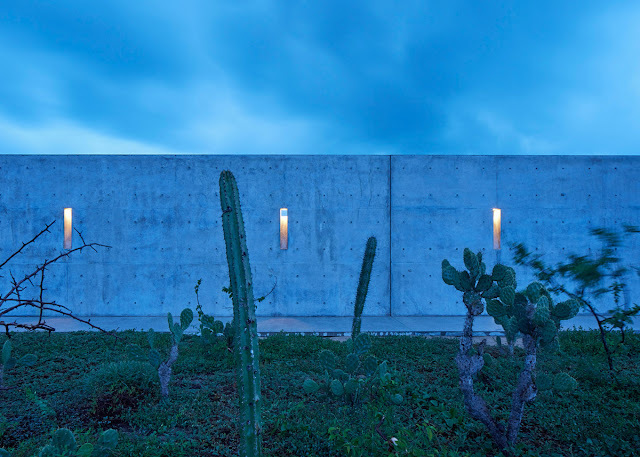 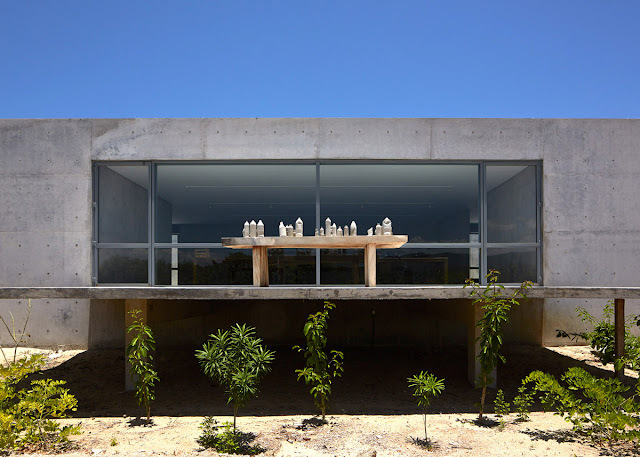 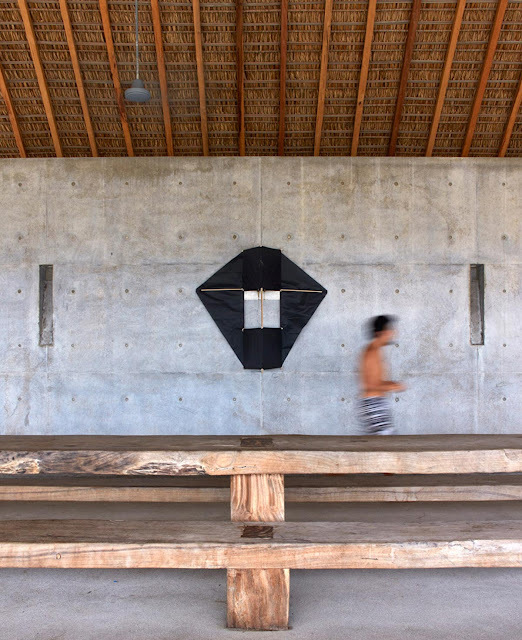 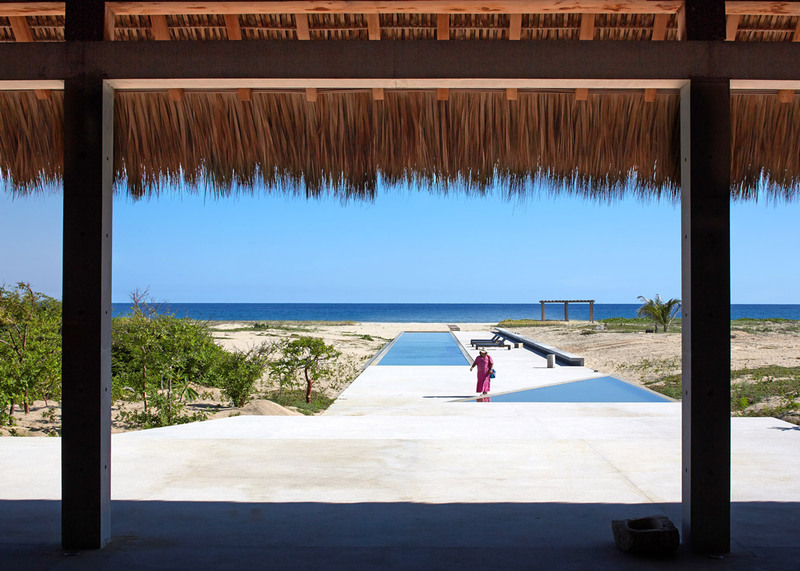 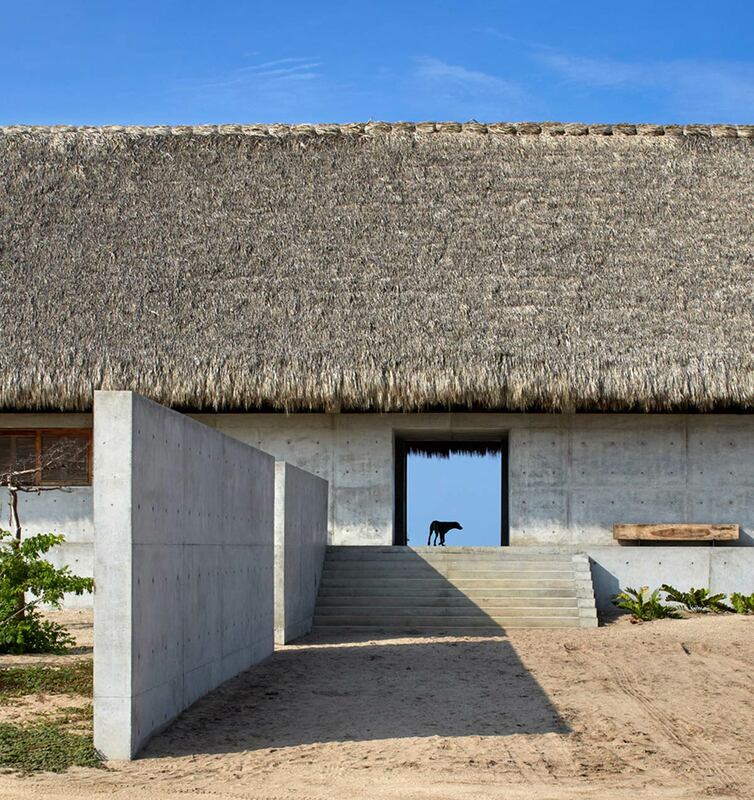 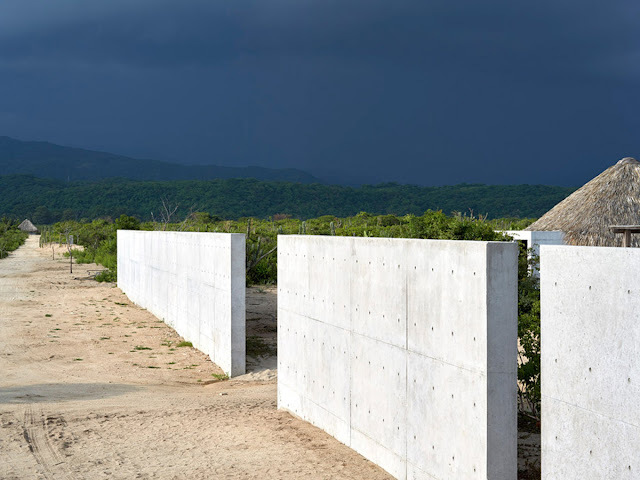 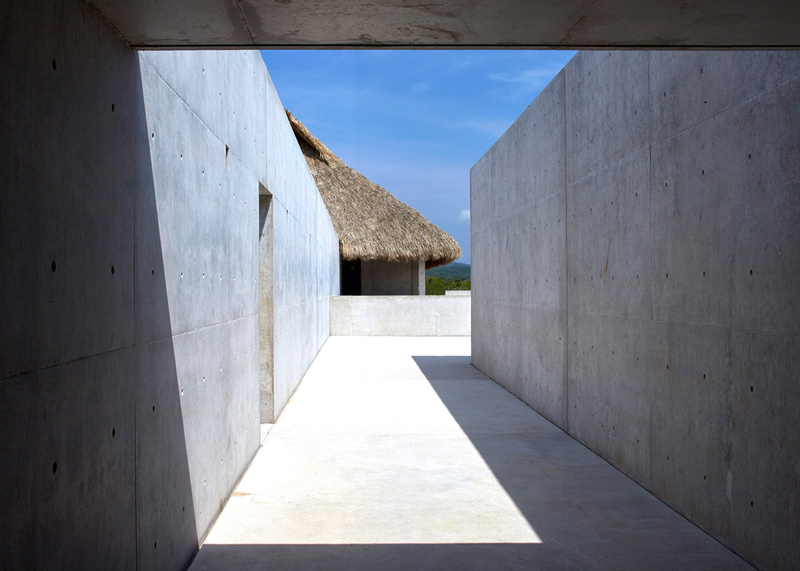 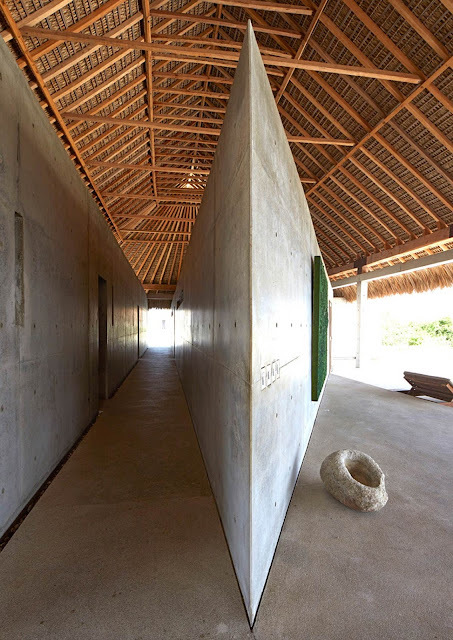 Japanese architect Tadao Ando designed a house and art centre for a picturesque site on the Mexican seafront, featuring a long concrete wall that follows the coastline. 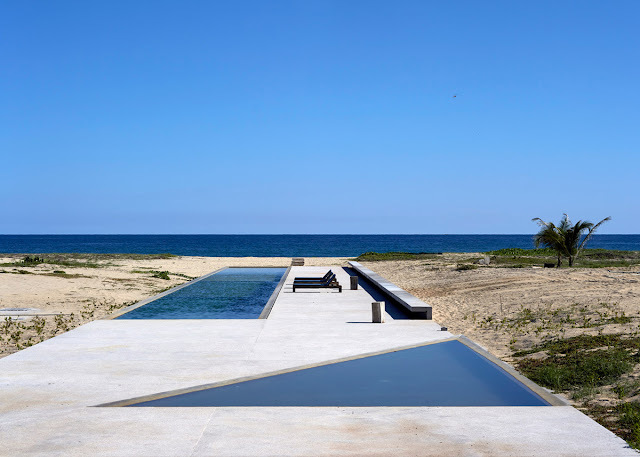 This 312m long element, running west to east, creates a series of different rooms and zones, while a long narrow swimming pool with terrace extends out towards the water's edge, facing the South Pacific Ocean. 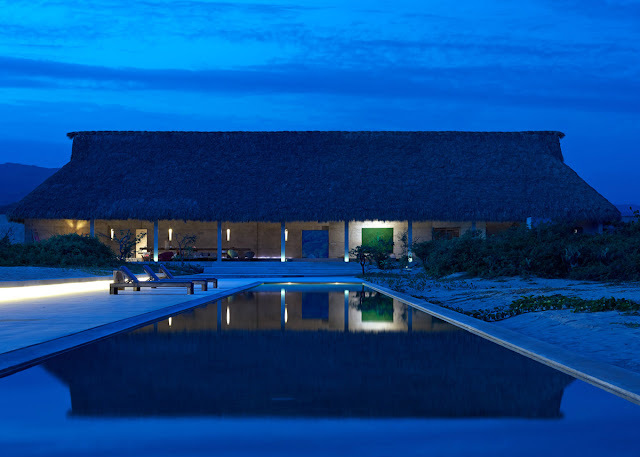 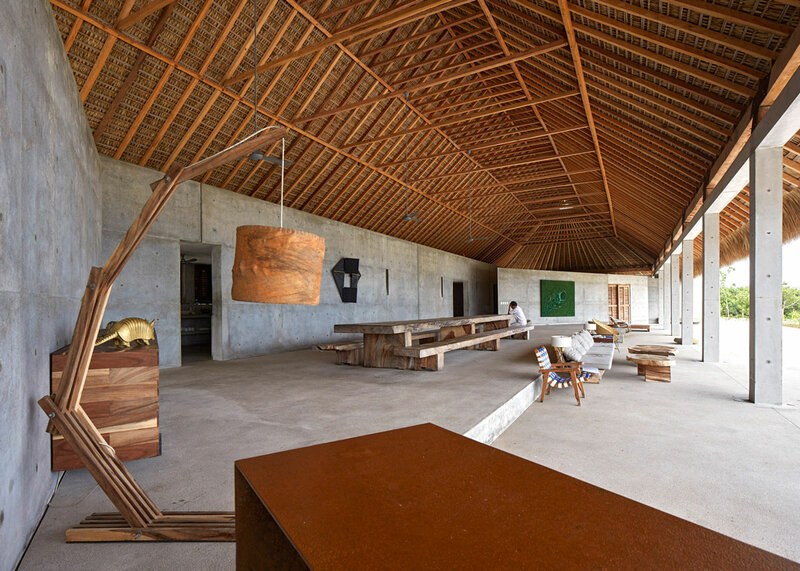 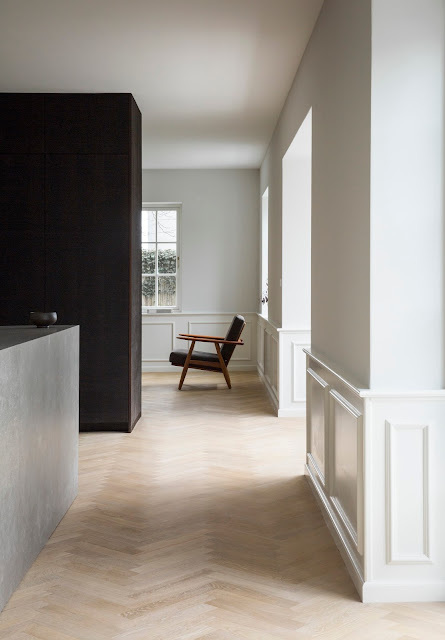 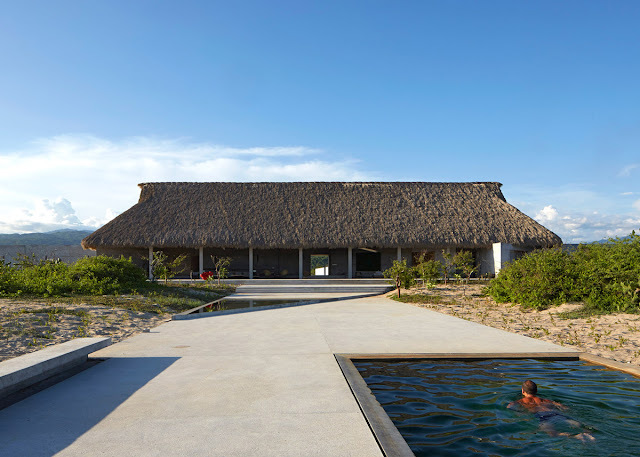 Above eye level, the buildings are covered with a type of roof known locally as Palapa roof, whereas below eye level contemporary elements comprise of geometric concrete walls, columns, stone floorings and wooden shutters.